Colorado Mountain College is known for snow-related degrees and programs. The Avalanche Science program expands these offerings into the world of snow science and professional avalanche safety training. Designed by avalanche professionals from the Colorado Avalanche Information Center, CMC and USFS, the Avalanche Science program will help current and aspiring avalanche workers advance their careers with training and education. Course work is completed online via live web meetings. Three on-site, intensive sessions in Leadville are scheduled three times per year. Looking for avalanche safety and training courses? See the up-coming courses for this season. Anyone pursuing work that involves travel in and around avalanche terrain. Typical students will likely be working in a related field, currently involved in avalanche work, or are aspiring to enter the avalanche work industry. Example students could be a ski patroller who wishes to become more involved with snow safety work, a recent grad of CMC’s Outdoor Recreation Leadership or Ski Area Operations programs, or a research program field-data-technician who needs to travel in or around avalanche terrain as a part of their job. What kind of job will the program prepare me for? The Avalanche Science Program develops graduates who are solidly prepared to continue in, or enter, a role as a snow-worker. Graduates will have a strong background in the fundamental concepts and skills required to work safely in and around potentially hazardous avalanche terrain. For example, a typical program graduate will not be qualified to enter work as an Avalanche Forecaster but would have a very strong foundation to progress into that role. They will likely need significant additional time, mentorship, and experience to evolve into a snow-safety leadership position. Our program will provide a solid (and heavily safety-focused) foundation upon which that expertise can grow. Program graduates will receive a Certificate of Occupational Proficiency as a Snow, Weather, and Avalanche field technician from Colorado Mountain College. The Program is additionally offering American Avalanche Association Pro 1 certification to eligible students at the end of year one. Career and Technical Education (Certificate of Occupational Proficiency) certificate programs provide technical training in specific skills. The curriculum usually includes only job skills training and limited general education courses. However, you will be asked to demonstrate basic reading, writing and mathematics skills before entering certain certificate programs. Your proficiency may affect the sequence of courses in which you may enroll and may also extend the time required to complete your program. For more details please see the Academic Placement and Testing section. Individual programs and courses have certain physical and academic standards which you may be required to meet before you are admitted to that program or enrolled in that course. How long is the program and what courses will I take? How big is the program; how many students? We have capped program enrollment to 12 students per year, although there will be room in specific courses for non-program students who meet entry requirements. We want to keep enrollment small in order to provide low student to instructor ratios for enhanced learning and for safety reasons during fieldwork in and around avalanche terrain. Who are the program faculty? Our instructor team consists of Dr. Ethan Greene, Dr. Kelly Elder, Brian Lazar, John Snook, John MacKinnon, Roger Coit, Blase Reardon, Becs Hodgetts, and Josh Hirschberg. This list contains a group of highly experienced and well-regarded industry professionals who are passionate about the subject matter and student success. “A hybrid (or blended course) is a course where some of the face-to-face meetings are replaced with online or other activities conducted outside of the classroom. For example, if your course usually meets Monday, Wednesday, Friday and you replace the Wednesday class with online activities or field work…” (From the Colorado Community College System, Going Hybrid: A How-To Manual, by Brenda Perea). Hybrid courses combine the best of face-to-face and online worlds and when a hybrid course is well designed, it can be a powerful learning environment. How will the classes be scheduled? The Avalanche Science Program meets 3-times over each winter season for intensive on-campus sessions between late August and April 1st. These live sessions last from 4 to 9 days. During the rest of the program year, students will continue to engage in coursework online with some courses continuing to meet online in a “live” format regularly each week and others progressing as independent work on a flexible schedule. Students are also required to complete a significant amount of mentored fieldwork in their home area (this work is completed independently and is strictly monitored via the program’s Fieldwork Safety Plan). What is a “portfolio-based” educational model? The Avalanche Science Program will engage students in an ongoing process of portfolio development throughout the two year curriculum, culminating in a final project assembly in SAO 279 “Snow, Weather, and Avalanche Technician Portfolio Seminar.” We feel strongly that this model will promote an integrated learning experience for our students that will serve them well into their careers. Do I have to complete the full two years in a row? Priority will be given to students pursuing the full Certificate of Occupational Proficiency in Snow, Weather, and Avalanche Field Technician running over two consecutive winter seasons. The program will run a single cohort of students (a class of up to 12) each school year, beginning in late August and ending April 1st. Some students may choose to take a break between the two program years but must have authorization from the Program Faculty Lead in order to return and complete the full Certificate of Occupational Proficiency (depending on the duration of absence, students may be required to re-take previous courses). Do I have to enroll in the entire certificate program or can I just take some courses that interest me? Yes! We built the Avalanche Science Program classes as hybrids, blends of on-site and online learning that are scheduled with the wintertime worker in mind. For example, most program courses require an initial session or two on-campus in the fall and early winter, followed by online work, and then a follow-up, on-campus session for further instruction and assessment. Please refer to the latest program course schedule for specifics. Can I take other courses at CMC while enrolled in the Avalanche Science Program? Generally yes, but you will need to work with the program faculty advisor to ensure that the additional courses you would like to take work with the Avalanche Science Program schedule. How does this program compare to the old Level 1, 2, and 3 avalanche safety courses? Please note that although the U.S. avalanche education model has recently undergone significant changes (https://www.americanavalancheassociation.org/educators/) this comparison may still be useful for prospective students. Our program is different in breadth, and very different in duration of study and fieldwork than former avalanche safety courses. The breadth of our curriculum is mostly similar to the former Level 1, 2, and 3 avalanche safety courses (i.e. most all of the curriculum objectives are the same but with added coursework in avalanche forecasting, meteorology, and internship opportunities.) The difference in the duration of the program is significant though, with the total course hour required for the Snow, Weather, and Avalanche Field Technician certificate (475 hours) far exceeding the total instructional hours that comprised the previous standard course progression. How does the Avalanche Science Program curriculum compare to the new American Avalanche Association (AAA) Pro and Rec training? The A3 has undergone a change in the US avalanche training guidelines from the former Level 1, 2, and 3 progression to a “split-track” progression that separates professional avalanche workers from recreationalists after initial courses. The new model includes Recreational levels 1 and 2, Avalanche Rescue, and Professional levels 1 and 2. The Snow, Weather, and Avalanche Field Technician certificate within the Avalanche Science Program at CMC is considered a professional-level training and compares with the A3 Pro track. Our program will substantially meet or exceed the A3 Pro 1 and 2 guidelines. We have been approved as an A3 Pro 1 Course Provider and offer that certification to all eligible program enrollees at the end of year one. The program is only being offered at the Leadville Campus of Colorado Mountain College. Do I need to be in Leadville for the entire winter? No, we have developed the program to accommodate both local students as well as those who may not live in our area. With the hybrid course format (blends of on-site and online learning), students will meet for 3 intensive on-campus sessions per winter and then remain engaged back home, completing online coursework and independent fieldwork as guided by their instructors. Housing is available. Is there housing and food available for the on-campus sessions? Off campus accommodation: There are also local lodging options for visiting students who wish to stay in the area during the on-campus sessions. A good place to start would be Lake County Visitors or the Leadville Chamber of Commerce. The full Certificate of Occupational Proficiency for Snow, Weather, and Avalanche Field Technician will require a minimum of 21 credits of coursework to complete. You should consider program costs to be a combination of per-credit tuition rate, any applicable college fees, individual course charges, program uniform cost, as well as any room and board expenses (if you choose to stay on campus and/or eat at our cafeteria). The information provided in this document is meant as an estimate only.  Scholarships: Colorado Mountain College offers many scholarships. The deadline to apply for scholarships is March 1 for the following academic year. Applications are excepted after the due date for a limited number of scholarships. See Scholarships for more information. For specific guidance on financial aid and program costs please contact our campus registrations office, 719-486-4394 or 719-486-4219. Program Required Equipment: Students will need to supply their own basic field equipment for program work (e.g. clothing, beacon, shovel, probe, snow study tools, etc.) Please refer to the Program Standards document for a specific list of required equipment. Uniform Charges: The College wishes to identify its students in the field and on internships as belonging to the CMC Avalanche Science Program. We enjoy sponsorship from well-known technical clothing manufacturers and are able to equip our students with high quality uniform pieces at a significant discount. Students enrolled in the Certificate of Occupational Proficiency will be required to purchase the basic student uniform (shell and insulation layer) for approximately $250. Course Charges: You should anticipate paying additional course charges for specific classes that have travel or equipment provided by the college. Please see the anticipated course charges in the tables above. Fees: In addition to tuition students must pay a student activity fee, $90/year, and a technology fee, $50/year. Room and Board: The campus will be holding a number of rooms in the Mountain View Residence Hall for Avalanche Science Program students who need a place to stay while here for the on-campus sessions. The residence hall has a communal kitchen for meal preparation. Significantly discounted room rates are available to program students and are based on shared occupancy. Meal tickets are available to purchase for student who wish to dine in the cafeteria. Prospective students will first Apply to CMC. You'll receive the supplemental application for the program as part of the process. Space is limited in the program. Applying early is recommended. If accepted into the program, your spot is not guaranteed until you have registered and paid for classes. Depending on the timing of your acceptance, you may be required to pay a deposit or pay in full. For your information, here is the Avalanche Science Sample Application. What are the Program Entry Requirements and how do I establish that I am eligible? Program entry requirements are detailed in the program application but generally: Students must demonstrate acceptable proficiency levels in math, computer skills, composition and reading, and communication. Students need to have previously completed courses in Level 1 Recreational Avalanche Safety, Avalanche Rescue, and Wilderness First Responder. Students must have appropriate snow travel equipment, cold-weather gear, and the ability to travel safely in mountainous terrain in winter conditions. Some of these program entry requirements may be waived for students enrolling in individual courses for the purposes of continuing professional development and who are not seeking the full Certificate of Occupational Proficiency..
What should I do if I don’t know if I meet the program entry requirements? We encourage you to discuss the program entry requirements with our Admissions Assistant, Brit Rasmussen, lvaviscience@coloradomtn.edu or phone 719.486.4394 or speak directly to the program faculty lead (Roger Coit, rcoit@coloradomtn.edu or phone 719.486.4259) for guidance on what you can do to meet the eligibility requirements. Colorado Mountain College offers courses in all of the required prerequisite areas and we can provide the training needed to get you up to speed to join the Avalanche Science Program. Do I have to be a skier? The answer is “Yes” and “No.” We are decidedly not requiring a specific “mode” of backcountry winter travel for much of the program coursework. However, all students will be required to ski (or split-board) for most fieldwork sessions in order to accomplish curriculum objectives. An introductory snowmobiling module will be part of the SAO 162 course. Students must be able to ski or snowboard at the intermediate level for most fieldwork or as required by some internship sites. Please refer to the Program Standards document for specific expectations of participant abilities and equipment for the program. What equipment do I need for the program? All program participants must have suitable personal equipment to travel safely at altitude in the wintertime backcountry environment in and around avalanche terrain; please refer to the Program Standards document for detailed equipment requirements and suggestions. In addition to required personal equipment, students enrolled in the full certificate program will be required to purchase a program uniform for use during program field work and internships (approximately $250).